Todd Joseph Miller, better known as T. J. Miller,Â is an American actor, voice actor, stand-up comedian and director. 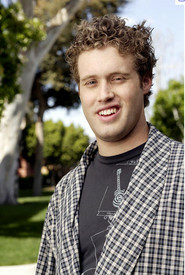 He currently stars as Erlich Bachman in the HBO sitcom Silicon Valley. Miller has also performed in such films as Cloverfield (2008), Yogi Bear (2010), How to Train Your Dragon (2010), How to Train Your Dragon 2 (2014), Transformers: Age of Extinction (2014), Big Hero 6 (2014) and Deadpool (2016).